Grifters operate on the fringes of The Dystopian Universe, eager to take advantage of every opportunity to profit from the chaos caused by the resistance. Players take on the role of powerful crime bosses, building their criminal organizations by carefully recruiting new operatives with specialized skills. During the game, the players' criminal teams will steal ISK from the government, powerful corporations, and each other via cons, blackmail, daring heists, and a multitude of other nefarious deeds. As always, money is power in The Dystopian Universe and the player with the most ISK at the end of the game is the winner. 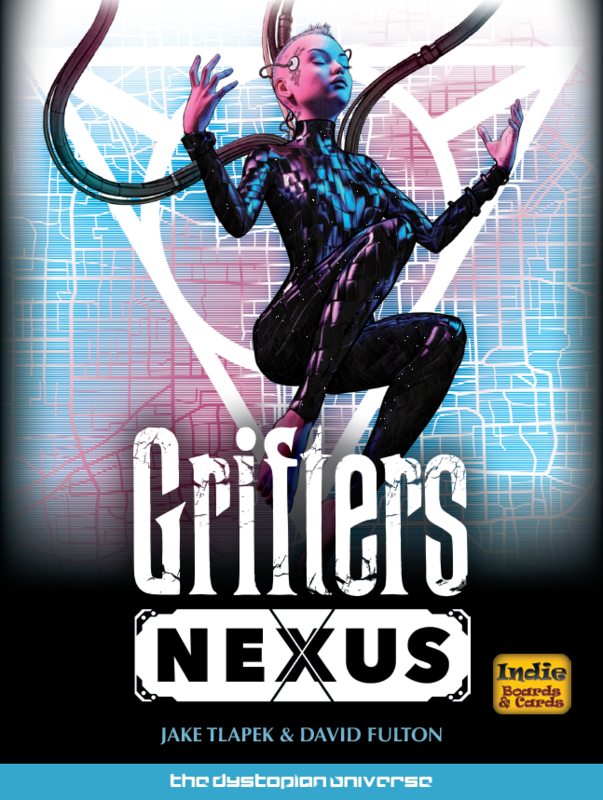 Grifters: Nexus is a standalone game that is also an expansion for Grifters, which was released by Indie Boards and Cards in 2016. Nexus uses the same core "cool down" mechanisms found in Grifters, and introduces 15 new specialist cards, new mechanisms and a new job card system. Wenst u het gezelschapsspel "Grifters: Nexus" aan te kopen?